It’s been a terrific 2 weeks run! We played in Parma (Italy) at One More Light 2, the second episode of Chester Bennington memorial, and it was again a very touching experience. You can find some pics of the night here. We would like to thank Francesca Marciano, One More Light Italia and all the soldiers. Then, last weekend we’ve been on tour with KOBRA AND THE LOTUS for 3 days, and we played in Rome, Milan, and Wetzikon (Switzerland). We played songs from all our albums and we had so much fun. After three AMAZING days we just want to say a BIG thank you to the people who shared this experience with us. 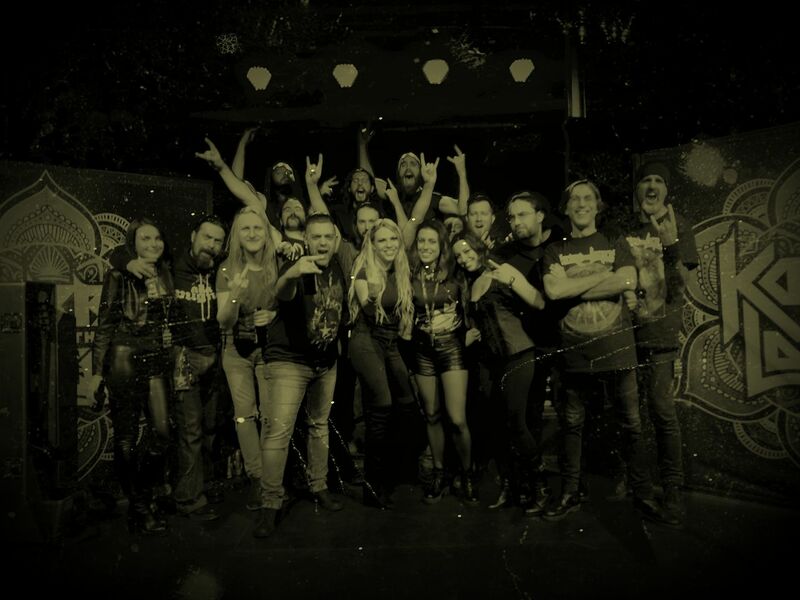 We are honored to have been on stage with Secret Rule and KOBRA AND THE LOTUS, outstanding musicians, professionals and exquisite persons also behind the scenes! A special thanks to Christian Grasso and Crown Metal for making this possible. Thanks to Traffic Live, Circolo Svolta and Hall Of Fame (Pasquale Salatino and his staff were simply amazing), Federica Poletti, Elisabetta Napoli, Roberta Cernuschi and Dario Fugalli for their precious help with merchandise, our man behind the mixer Ivo, and last but not least thank you to all of you guys who came to see us live, took pictures and shared a moment with us, it’s been terrific!